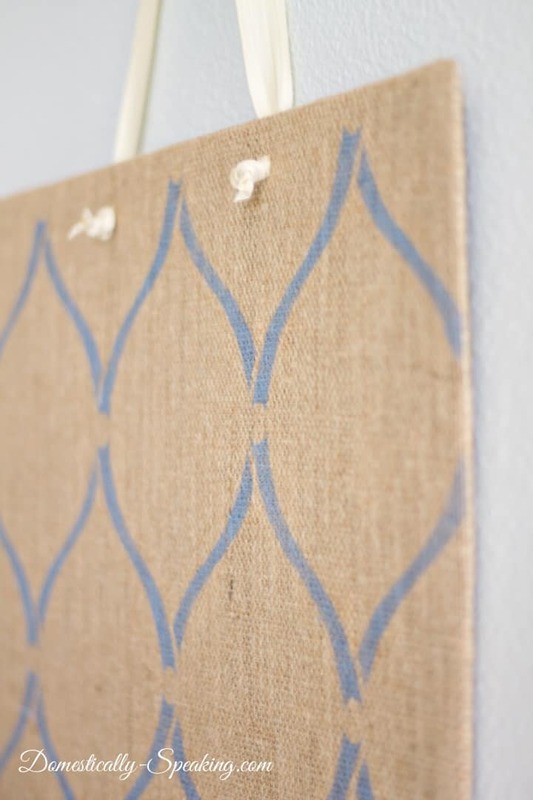 I’m a big fan of burlap, so I can’t wait to share this project with you. This DIY Stenciled Burlap Magnetic Board is a great project that you can customize for any room in your home. I was thrilled when I happened upon a piece of sheet metal lying around in my parent’s garage because I had a fun project in mind. This project was pretty simple and makes a big impact in a space. I think it’s eventually heading to my work space. I folded the burlap around to the backside of the sheet metal and used a hot glue gun to hold it in place. I used a pretty stencil and acrylic paint to add some geometric interest. It’s like a beautiful piece of art on it’s own, but of course it’s a magnetic board as well. I hot glued some magnets onto some paper flowers I made, super cute and so easy to customize. To attach the ribbon tie I used a hammer and nail to poke holes through the metal. 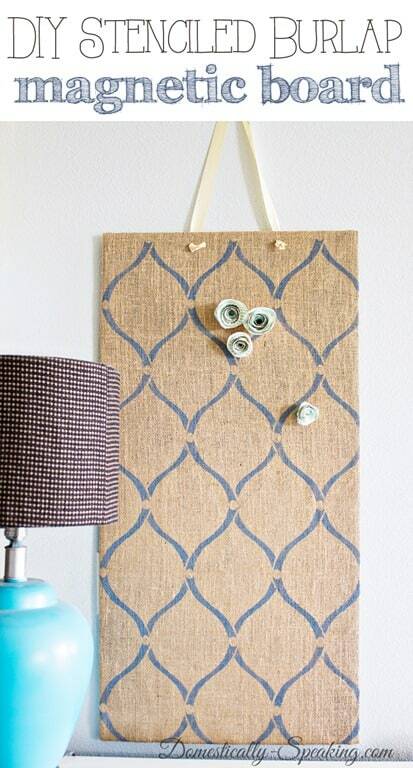 This is a fun project you can easily do! 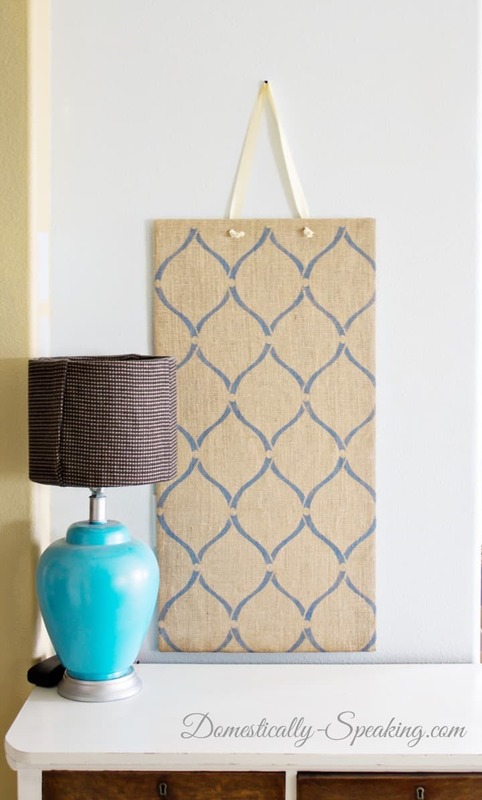 Total work time was probably only 20 minutes (plus paint dry time)… so an easy weekend or even weeknight project. Could you be a bit more specific i.e. what stencil did you use, what colour paint for stencil and how di d you get the lines so crisp. I’m a novice stenciller and so far have not had good luck paint bleeding under, etc. I used a stencil from Cutting Edge Stencil. I used a combo of different blue acrylic paints to make that paint color. Have a good stencil is important. Also having a good stenciling brush. Bounce the paint (in an up and down motion) first on a paper plate to remove any extra, drippy paint and then use the same bouncing to paint the stencil. Gorgeous!! Your stencil lines are so neat and crisp – if I come over to your place can you teach me your tricks? Love the color you used too!! Beautiful and practical, my favorite combo! I love the stencil. It adds such a pretty element to the whole project. And I love the added function of being magnetic!! 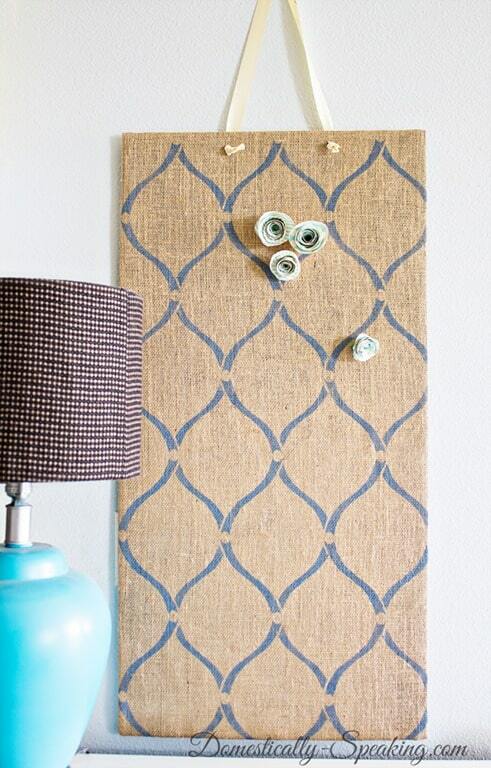 Your magnetic board turned out great and those little flowers are so sweet! 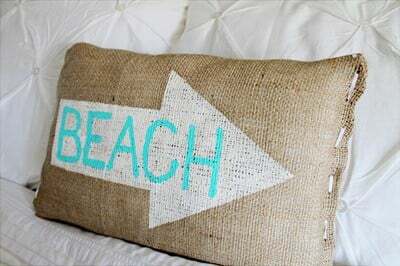 I share the same love of burlap. Really cute board! 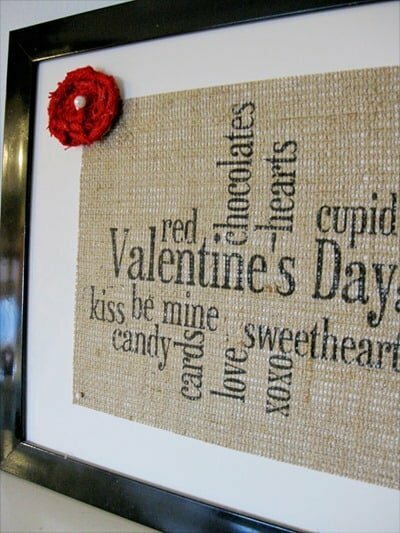 This is so cool, Maryann ~ Burlap and magnetic ~ I think I need to make this! This is very pretty!! Love the pattern and color! Love your magnetic board Maryann! I made one several months ago and it has become so handy in my office. 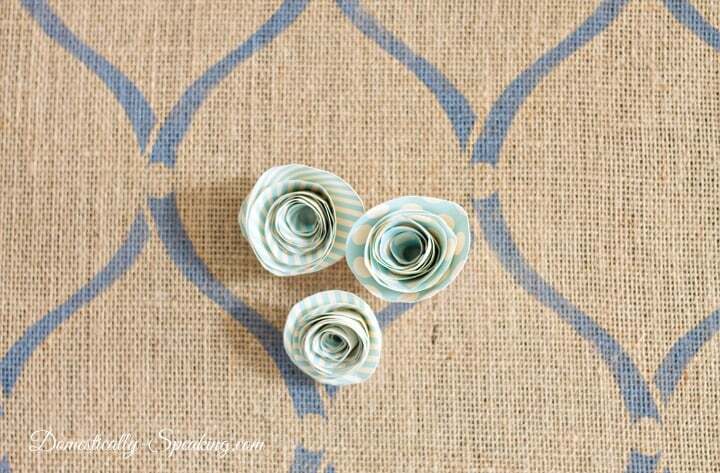 I love your cute little paper flower magnets – so pretty! Thanks Marie ~ I think I’m going to love it in my workspace! Thanks for your sweet comment. So cute, love this idea! Thx for sharing this, Maryann…i love it!